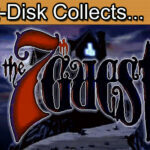 Insert Disk collects Spooky’s House of Jump Scares for the PC. Prepare for jump scare action in this free to play horror game. Survive 1000 rooms to discover the secret of Spooky’s House Of Jump Scares. Greetings collectors and welcome to today’s episode. In a break from our regular collecting show I’m kicking off a new playlist on the channel. I will be periodically looking at a selection of extended demos, indie and freeware games because free to play is always worth investigating. 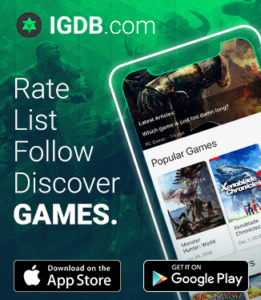 Expect a selection of games. I will try to keep them interesting and easily available for all to play. On a side note, if you are an indie developer with demos that you would like covering please get in contact. I will always be happy to consider featuring demos and independently released games on the channel. Today were kicking off with a free to play game that can be readily downloaded on Steam. Get ready to be scared as we enter, Spooky’s House of Jump Scares. 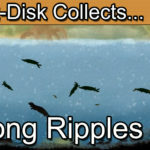 Lag Studios have created somewhat of a freeware hit. The aim is to simply navigate your way through 1000 rooms in Spooky’s House of Jump Scares to find out the secret of the house. As the game title suggests, the game is filled with jump scares and little else. I had my reservations about trying this one, it was really only the free price tag that got me to download this one. As a veteran horror game player the idea of jump scares seems limited. It’s fair game if they are used sparingly and can actually make for some tense and shocking moments in games. However, a game with little else in the premise is a bit of a hard sell. I wondered how many times I would see the jump scares pop out before I would become completely desensitised to them. I had already seen some let’s play clips of this online and the YouTube reactors were going nuts over the smallest of scares. Personally, I find these overreactions rather annoying. In the real world you can guarantee that people just don’t react this way to jump scares, especially when they are recording themselves and expecting the scare. Nevertheless I installed the game and got straight in to the intro. It hit me straight away that there is some good quality here in the build. Solid graphics and good sound. It was then in to the mansion to meet Spooky. The small ghost is rather cute and there’s some rather witty dialogue and knowing humour to follow. You’re then left to wander the mansion and progress through the rooms. Small notes left throughout the rooms build in to a narrative of another lost person wandering through the mansion. For someone that doesn’t scare easily I’ll admit that I did get caught out by a couple of the earlier jump scares with the pathetic cute ghosts on a stick of wood or a piece of cartoon bread. The main reason for this is that I play on a full sized Dolby audio setup with high powered amp and subwoofers. Word to the wise, never, never have you speakers on a loud volume as I did. The surprises soon wore off though as you know what’s coming. At each room number at a multiple of 50 you can save your progress via the cross save points and take the lift to the next set of rooms. By room 100 I was getting a little disheartened by the game. I’m so often disappointed by recommendations of “Must Play” games. 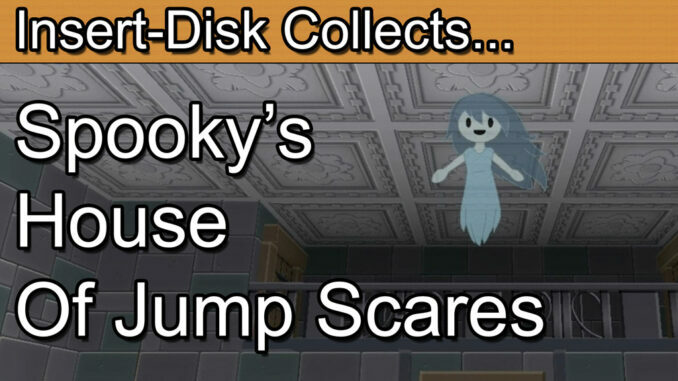 At this point Spooky’s House of Jump Scares was getting quite predictable and very, very repetitive. I have to say though it is worth persevering with the game. Rooms 1-100 are really nothing more than an introduction. The game has quite a slow build up in general and I’d say that only at around the rooms 400+ does the experience turn in to more what I was expecting. Although it’s difficult to call the game challenging there are moments of puzzle solving and enemies to negotiate in different ways. Spooky’s House of Jump Scares is much more about the journey than anything else. It’s a simple concept that perhaps shouldn’t work as well as it does. I won’t spoil the game ending or give you all of the details as the game is best experienced first-hand. I’m happy to report though that the game does get much more interesting towards the later levels with some simple puzzles and better enemy designs that have the power to warp your vision or attack you if you are not looking at them. For what it sets out to achieve Spooky’s House of Jump Scares is actually a really great free to play game. There’s some great humour throughout, interesting style of presentation and overall I found the experience rather worthwhile. The game certainly makes a transition from cute and charming to rather sinister and grim later rooms. It’s fair to say that I was actually won over by this game, despite my reservations of a jump scare based game and a rather slow build up, the game did leave me with an overall positive impression. Obviously this is a relatively short and free to play game but I would be happy to recommend this one to anyone looking for some creepy horror fun. It did enough for me as a player to not outstay its welcome. If you really enjoy the experience you can pay to extend the fun. At the present time the game has 1 DLC pack “Karamari Hospital”. The tag line reads “In this alternate universe the elevator has crashed below the 1000th room revealing even more terrific monstrosities. In this new abyss lies Karamari Hospital, long abandoned by the living and infested with the not so living.” I’ve not played the DLC of Karamari Hospital yet but for the low asking price I think that it would be worth the entry fee, especially as you are already getting the original game for free. Let me know what you think about Spooky’s House of Jump Scares in the comments and also I’m always interested in your nominations for other great freeware and indie games.